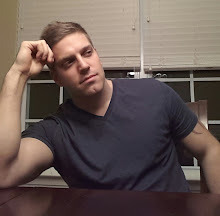 Anyone who's been reading this blog for the past month or so has realized that I'm a fan of G. K. Beale. A few days ago I posted a resource from Desert Spring Church in Albuquerque, NM of a seminar weekend they hosted with Dr. Beale. For those who took advantage of listening to the first sermon available noticed a phenomenal delivery on the subject of idolatry. To me it was a new insight; nay, many new insights. What Beale did was provide a solid exegetical sermon on the correlation between the idolatry and its consequences. 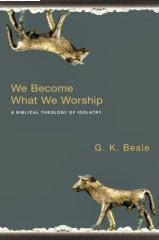 In short, Beale concluded from this study in biblical theology that the effect of idolatry is becoming the very thing we worship. I encourage anyone who hasn't listen to it to do just that. Just click here to access the sermons and resources. To my delight, this sermon was actually a precursor to an upcoming book with the title We Become What We Worship published by IVP Academic and is expected to be released in November. According to their most recent trade catalog the book will be around 300 pages, and will include chapters on specific NT and OT books and their contribution to the subject of idolatry. This is a highly anticipated book, well, at least it is for me. I have no doubts that after listening to the 54 minute sermon that you'll feel the same way. You can preorder the book at Amazon.com by clicking the book title or the above image.